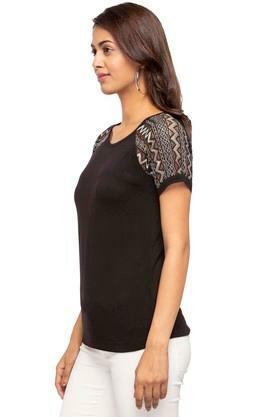 Fetch compliments for your dress sense by wearing this top from the popular brand, Fratini Woman. 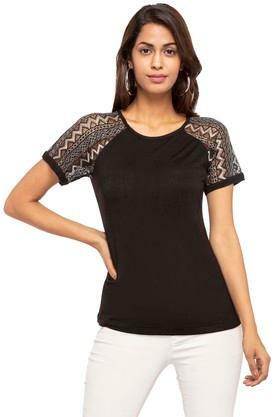 It has a round neck and also comes with short sleeves that accentuate its design, while the solid pattern gives it a pretty look. In addition, it is made of a premium quality fabric, which will keep you comfortable for long hours. Be the style icon among your friends by wearing this top on any casual occasion. 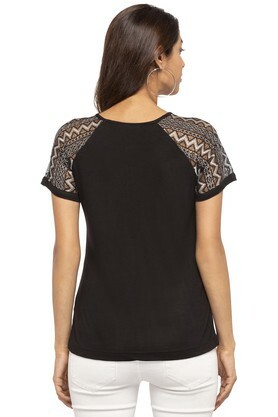 Tailored to perfection, it will go well with a pair of jeggings and wedge sandals.